Health officials probe 87 possible cases of a paralyzing condition that mostly strikes kids. In most parts of the world, vaccination has eliminated the polio virus. But recently, medical authorities in 26 states have expressed concern about the rise in cases of an illness that’s very similar to polio and mostly affects children, according to an unofficial survey by NBC News. Acute flaccid myelitis (AFM) is a rare paralyzing condition triggered by a viral infection. The virus targets an area of the spinal cord known as gray matter. Symptoms include dizziness, inability to walk, trouble swallowing or difficulty moving an arm. While there is no specific treatment for AFM, immediate care is required for children, especially those who experience difficulty breathing. The Centers for Disease Control and Prevention (CDC) confirmed 38 cases of the illness in 16 states. Although the CDC didn’t name the states, in 2018 Colorado reported 14 cases and Minnesota reported six. Health officials from the 24 other states, including Maryland, Michigan, Texas, Alabama and New York, informed NBC News that there were both suspected and confirmed cases. A total of 87 AFM cases (35 suspected and 52 confirmed) were tallied based on interviews with these officials. Keeping track of AFM is no simple task. Because the CDC must run a battery of tests, it takes the agency about a month to review cases and determine a diagnosis of AFM. 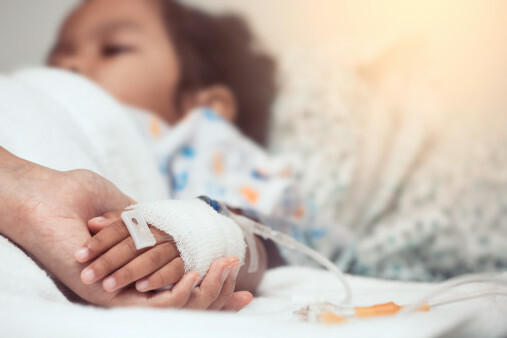 According to the CDC, the symptoms patients experienced were most similar to complications of infection with certain viruses, including poliovirus, non-polio enteroviruses, adenoviruses and West Nile virus. But scientists linked other viruses, such as EV-A71 and EV-D68—two enteroviruses distantly related to poliovirus—to AFM cases, for which there are no vaccines. Since 2014, occurrences of AFM have fluctuated with the number of instances of the illness much higher in 2014 and 2016 (120 and 149, respectively) than in 2015 (22) and 2017 (33). This pattern has led experts to predict an increase in AFM cases in 2018. As a safety measure, the CDC recommends regular and thorough handwashing to protect against bacterial and viral infections. Click here to learn how many diseases could make a comeback if people stop getting vaccinated.